Jodie Foster at the "Big Shot" after party during the 2013 Tribeca Film Festival. Jodie Foster at the "Ice Princess" premiere. Jodie Foster at the 79th Annual Academy Awards. 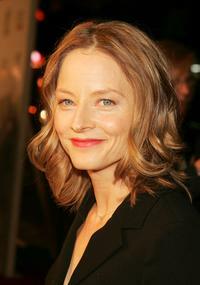 Jodie Foster at the The Inside Man" premiere. Jodie Foster at the "Anna and the King" premiere. Director Neil Jordan and Jodie Foster on the set of "The Brave One." Jodie Foster and Terrence Howard in "The Brave One." Jodie Foster and Zoe Kravitz in "The Brave One." Jodie Foster promoting "Panic Room" in Tokyo. Jodie Foster in "The Brave One." Jodie Foster at the 2005 Tony Awards. Zoe Kravitz, Jodie Foster and Victor Colicchio in "The Brave One." Jodie Foster in "Nim's Island." Jodie Foster at "The Lookout" premiere. Jodie Foster promoting "Flightplan" in Tokyo. Jodie Foster at the 9th Annual Hollywood Film Awards. Jodie Foster at the 2000 Golden Globe Awards. 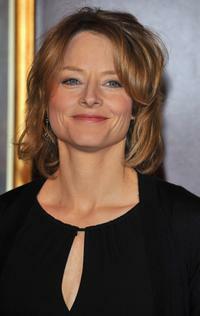 "The Brave One" star Jodie Foster at the N.Y. premiere. Jodie Foster at the "Meet The Robinsons" premiere. Jodie Foster at the "Flightplan" premiere. Jodie Foster and Angel Sing in "The Brave One." Jodie Foster and Lenny Venito in "The Brave One." Jodie Foster at the AFI screening of "A Very Long Engagement." Jodie Foster at the Sitges Film Festival. Jodie Foster at "The Inside Man" premiere afterparty. Jodie Foster as Secretary Delacourt in "Elysium." Jodie Foster at the conference to promote "Panic Room." Jodie Foster at the premiere of "The Brave One." 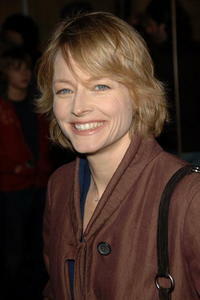 Jodie Foster at the screening of "A Very Long Engagement" during the AFI Fest 2004. Jodie Foster at the premiere of "Nim's Island." Jodie Foster at the ShoWest awards ceremony. Jodie Foster and Stockard Channing at the 2005 Tony Awards Party. Jodie Foster at the 79th Academy Awards. 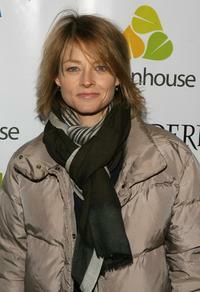 Jodie Foster at the Sundance Film Festival world premiere party of "Phoebe In Wonderland". Jodie Foster at The Trevor Project's 10th annual Cracked Christmas benefit fundraiser. Jodie Foster at the screening of "The Brave One" during the Toronto International Film Festival 2007. Jodie Foster at the Hollywood Reporter's Women in Entertainment breakfast honoring Jodie Foster. Jodie Foster at the premiere of "Flightplan." Jodie Foster at the British Academy of Film and Television Arts/Los Angeles (BAFTA/LA) Awards. 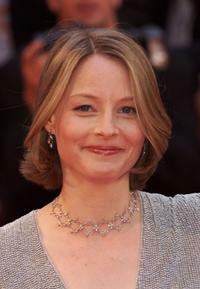 Jodie foster at the premiere of "The Inside Man." 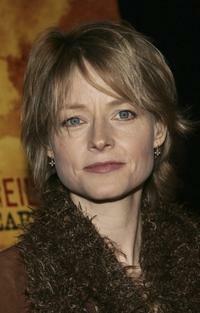 Jodie Foster at the premiere of "Neil Young: Heart of Gold." 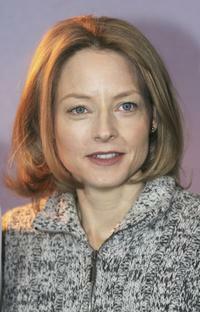 Jodie Foster at the press conference for the promotion of "Flightplan." Jodie Foster at the US-Ireland and Alliance Oscar Wilde Awards: Honoring Irish Writing in Film event. Jodie Foster at the Crystal and Lucy Awards. Jodie Foster at the photocall of "Flightplan." Jodie Foster at the Palme d'Or Awards Ceremony during the 54th Cannes Film Festival. 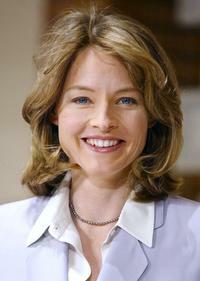 Jodie Foster as Meredith Black in "The Beaver." Jodie Foster at the photocall to promote "Flightplan." Jodie Foster at the 20th IFP Independent Spirit Awards. Jodie Foster at the photocall of "The Brave One." 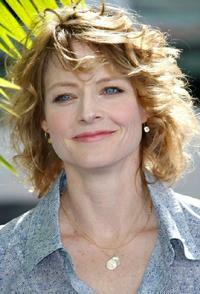 Jodie Foster at the photocall to promote "Fightplan" during the Sitges Film Festival. 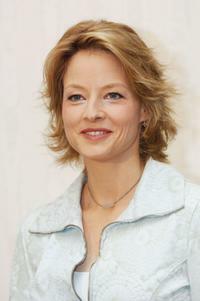 Jodie Foster at the press conference of "The Brave One" during the Toronto International Film Festival 2007. Jean-Pierre Jeunet and Jodie Foster at the screening of "A Very Long Engagement" during the AFI Fest 2004. 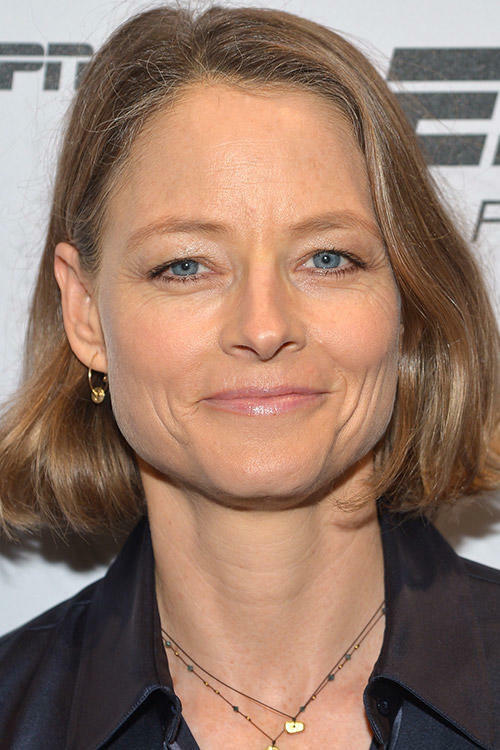 Jodie Foster at the California premiere of "Elysium."